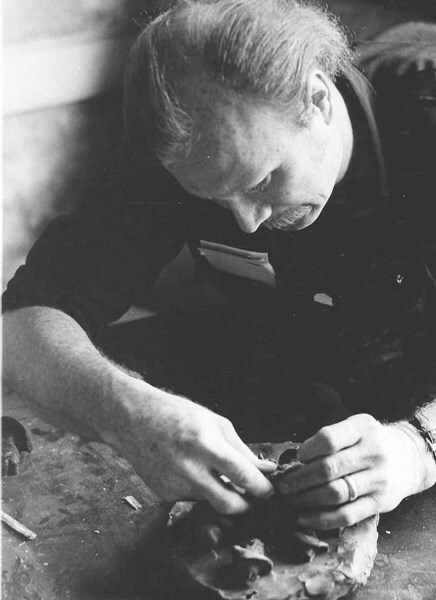 Can you name five favorite American sculptors, still living? How about three? 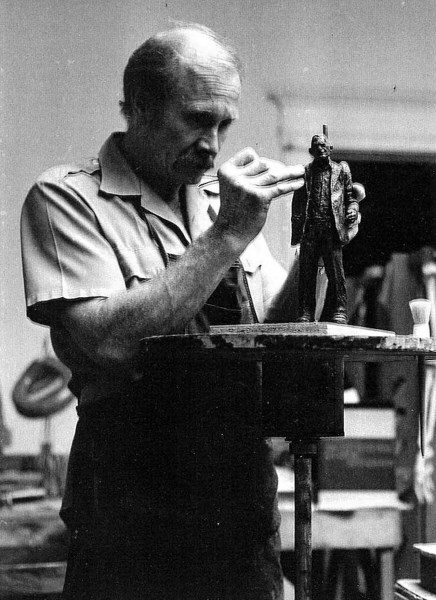 Lee Hutt, John De Andrea, or Richard MacDonald—these are some of the incredible sculptors in our day and age. But how many people recognize their names or will ever see their work? Now name three great American writers. How about musicians or filmmakers? Everyone has his or her favorites. Why? They all have one common denominator—they publish their work. Every person who wants to see it, read it, or listen to it can do so, usually for free usually, or for an affordable price. We can all read our favorite book for free in a library. We can go to a film, relatively inexpensively, and come away possibly changed for the rest of our lives. Music is free on the radio, or we can download it in a very affordable manner. Because of that, because each and every person who wants to can access these works of art and experience them on a personal level, these art forms connect with us in our deepest emotions. When was the last time a painting knocked you over, influencing you for the rest of your life? There was a time when painting and sculpture were the only art forms that told the important stories of our lives. Back when few were literate, books were banned, theater was censored, it was only through these traditional art forms that truth could be conveyed. But now the artist must work harder and be willing to evolve along with the rest of the world. Anyone can reproduce his or her art. Anyone. We can do things now, at this moment in time, which we could never have done twenty, thirty, fifty years ago. We can reproduce minute, exact detail, and do it with very strong materials—resins, hydrocal, silicone rubbers. Paintings can be replicated complete with impasto and magnificently on target. The ability to reproduce a work of art perfectly, in exquisite detail, is out there for the first time in human history. Anyone can use it. So why don’t they? Why do so many artists demand their work remain a one-of-a-kind? This is an interesting question, and one that the people who love art, who delight in the emotional impact that occurs when they can relate to a work of art, should consider carefully. If you love art, hopefully you live in New York or Paris. Hopefully you can go to the National Gallery or the Louvre. But even if you do, you and 3,000 other tourists will jockey for position to glimpse the Mona Lisa or The Scream, always from a distance and never personal or private. Truth be told, though, most of us have never been to those places. We have made 90% of our art value judgments from photographs of art as they have appeared in books and magazines. And what is that but a form of reproduction? A poor form, poor quality with every bit of texture and vibrancy flattened and reduced to a three by five rectangle. Think of it this way: How would you like it if John Steinbeck only created one manuscript of The Grapes of Wrath, sold it to a one wealthy man – just one. He would be the only one to ever read those words. No one else. How would you feel if you knew that Steinbeck could have reproduced it, could have made thousands of copies that were equally as rich in detail and emotion as the original, but he chose not to? That’s almost a crime, right? The printing press changed that kind of thinking hundreds of years ago, and who of us would want to go back to a society without the freedom to read anything we wanted? If the answer to that question is too low, that work of art will be boxed up and stored forever in a basement warehouse. And if the answer is too high, it will be protected behind various forms of Plexiglas with roped-off viewing areas, or it will be hidden in some millionaire’s mansion where it is only ever appreciated by the maid who has to dust around it every week. No longer is that work of art doing its purpose—the purpose of all art—which is simply to give us great joy and insight into what it means to be human. It’s not just that I don’t sell my original sculptures. There’s more to it than that. The truth is, I don’t actually believe in original art. Ethically, creatively, honestly—I don’t believe in the game of it. I’ve grown up with art. I still have several prints in my home, passed down from my parents, all of them reproductions: Van Gough, Gauguin, the impressionists Monet and Manet. They are all dear friends of mine. I’ve had them up on my walls for over thirty years. I get to walk by these wonderful works of art that are every bit as meaningful and beautiful as the originals, and I get to live with them and relate to them in all my different moods—in my sadnesses and my joys, in my crazy paranoia and in my contemplative moments. They have offered me years of delight that I could have never otherwise had. To this day, I refuse to own a one-of-a-kind. I refuse to support that collector’s ambition. I refuse to take that one piece away from the greater audience. I refuse to hoard it all to myself, to be that kind of greedy. No, I don’t collect art for the money. I do, however, collect the best damned reproductions I can find for the love of it. And it is that same love that I put into my own work. Art should be published. There are a thousand reasons why, but in the end it comes down to one. Art should be published so that art will continue to exist. By publishing my own art, several wonderful things happen. First, I get to reach a wider audience. Just like writers and filmmakers, more people will see my work and react to it. I enjoy that tremendously. Of course, it is a thrill, and good for the ego, to have so people recognize my work, to come up to me and say, “God, man, that’s my Uncle Joe, right down to the shape of his hand.” Or to have one of my pieces presented to the President, and the very next week a local drunk can walk on into my gallery, after having saving up all his quarters, and he can buy the same damned thing. It’s an absolute delight. I also have more fun. 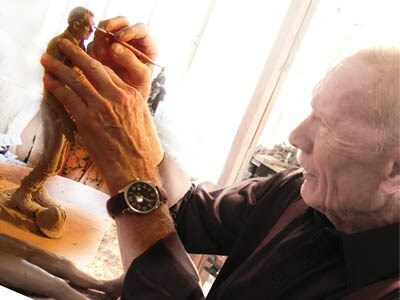 I can spend anywhere from two hours to ten years creating a new character, playing in clay or in wax, figuring out who he is and delighting in the moment when the magic happens. It knocks my socks off every time. But that is only the beginning of the wonderful fun I get to have. I also get to become an engineer, a mathematician, a scientist. 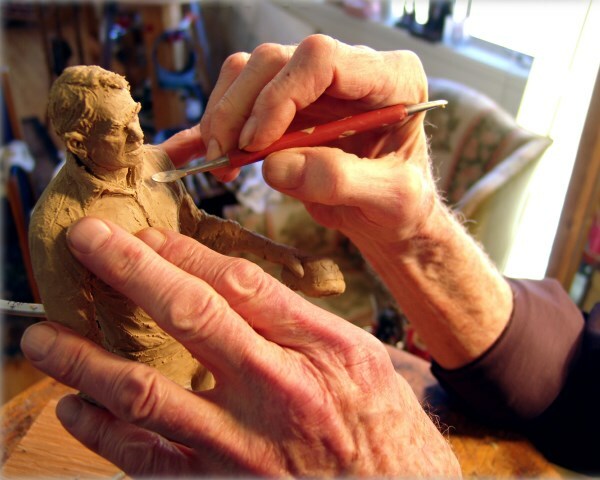 I get to create the mold which can often be just as intricate, or more so, as the original sculpture. In fact, I don’t think I’ve ever made a mold when I haven’t been fascinated by it. To be able to have my original clay piece memorized, and then, suddenly, to have five, fifteen, a hundred of them all sitting there on a bench, each and every one of them exactly like the master, it still affects the hell out of me. The whole thing is a fascinating process, and fun as hell. And lastly, I get to make more money. I provide an beautiful product to my audience and, in the end, I make more profit. So again, I ask, why wouldn’t every artist do this? This has been my business, but this has also been my life. And I love it all. I love my characters, I love my staff. I love the creative process, the mold-making, the engineering. And I love that it makes money. But more than any personal satisfaction, I love the honor in my characters. They bring out the best in me. And isn’t that what art is supposed to do?